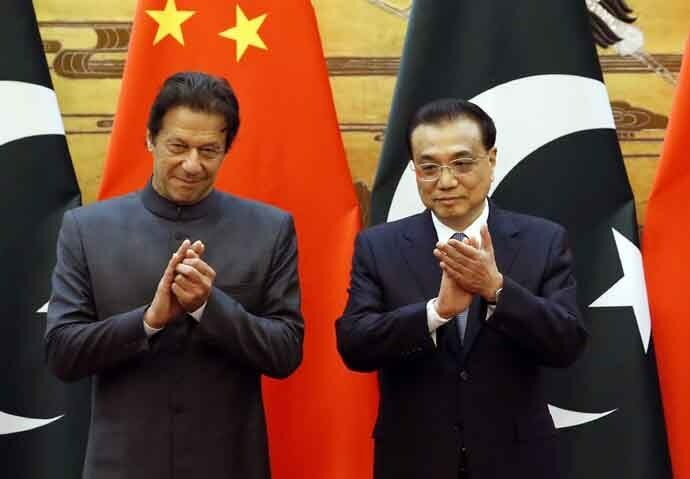 Pakistan's Prime Minister Imran Khan is apparently so very busy building a ‘naya Pakistan’ that he has no time to find out what is happening world over — not even in friendly neighbouring country China. So, when a journalist from the Financial Times recently asked him about the atrocities being perpetrated on Uyghur Muslims in China, Khan said, “Frankly, I don't know much about that.” When pressed, he said the Muslim world was going through “its worst phase” — but demurred on Beijing's crackdown in Xinjiang. “If I had enough knowledge I would speak about it. It is not so much in the papers,” Khan said. Maybe Khan is so busy fixing a country which has been run for decades by military generals and corrupt politicians that he doesn’t find time to read the newspapers, look up the internet or watch TV news, all of which have been reporting intensively about the issue. Yes, Khan is a preoccupied man — but it is baffling to think how Khan is not even aware of what Chinese men are apparently doing to young girls and women of his own country — girls as young as 13 years of age, reportedly. Numerous reports have recently surfaced that draw attention to such human smuggling from Pakistan. In February, a Chinese man was even caught at the Islamabad airport for smuggling a Pakistani girl. According to media reports, while checking into a China-bound private flight, a woman told immigration officials there that she was being trafficked to China and pleaded for their help. Upon her request, she, and the Chinese man who accompanied her, were taken to an investigation office. There, the woman told the officers that her father had sold her to the Chinese man for Rs 4,00,000 — and added that he had previously sold a man as well to him. Will Imran Khan now dare to take up this issue with China? The answer is a near-certain no — because the moment Khan questions China about why Pakistani women are reportedly thus going beyond the Great Wall, the Chinese cover offered to terrorists, such as Maulana Masood Azhar, at international forums, such as the United Nations Security Council (UNSC), could be sharply withdrawn. Azhar’s handlers in the Inter-Services Intelligence (ISI) and the Pakistan army will not take kindly to this — thereby risking Khan’s own chances of becoming the first Pakistani PM to complete a full term in office. The cost to maintain the status quo on the quid pro quo, meanwhile, has to be paid by young Pakistani girls and vulnerable women. One of the world's largest Muslim nations, Pakistan has been a longtime friend and trading partner of Beijing — their relationship is often described by Chinese diplomats as an "all-weather friendship." Pakistan has also benefited greatly from Chinese infrastructure spending, as part of President Xi Jinping's global Belt and Road Initiative (BRI) — and it is one of Beijing's biggest arms buyers — between 2008 and 2017, Islamabad purchased more than $6 billion of Chinese weaponry, according to the think-tank CSIS. The fate of these young women thus counts for very little apparently in the backdrop of this mega-scenario. Imran Khan’s bid to remain friends with China — even at the cost of the lives of young Pakistani girls — is tragic. In a country where civil society is often silenced through arrests, jailing, even killings for speaking up for the voiceless, the situation remains grim. And looks set to only grow grimmer.